Just So Stories for Little Children is a 1902 collection of origin stories by the British author Rudyard Kipling. Considered a classic of literature, the book is among Kiplings best known works. Kipling began working on the book by telling the first three chapters as bedtime stories to his daughter Josephine and these had to be told just so or she would complain. 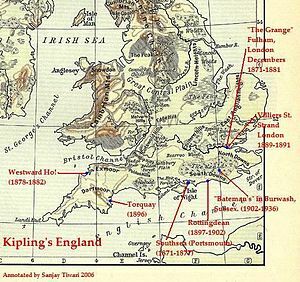 The stories describe how one animal or another acquired its most distinctive features, for the book, Kipling illustrated the stories himself. The stories have appeared in a variety of including a musical. 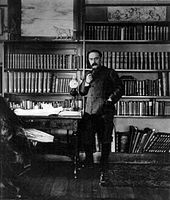 Evolutionary biologists have noted that what Kipling did in fiction, they have done in reality, the stories, first published in 1902, are origin stories, fantastic accounts of how various features of animals came to be. A forerunner of these stories is Kiplings How Fear Came, in The Second Jungle Book, in it, Mowgli hears the story of how the tiger got his stripes. The Just So Stories each tell how an animal was modified from an original form to its current form by the acts of man. For example, the Whale has a tiny throat because he swallowed a mariner, the Camel has a hump given to him by a djinn as punishment for the camels refusing to work. The Leopards spots were painted by an Ethiopian and they had to be told just so, or Effie would wake up and put back the missing sentence. So at last they came to be charms, all three of them, —the whale tale, the camel tale, and the rhinoceros tale. How the Whale Got His Throat — why the larger whales eat only small prey, how the Camel Got His Hump — how the idle camel was punished and given a hump. How the Rhinoceros Got His Skin — why rhinos have folds in their skin, how the Leopard Got His Spots — why leopards have spots. The Elephants Child/How the Elephant got his Trunk — how the elephants trunk became long, the Sing-Song of Old Man Kangaroo — how the kangaroo assumed long legs and tail. The Beginning of the Armadillos — how a hedgehog and tortoise transformed into the first armadillos, how the First Letter Was Written — introduces the only characters who appear in more than one story, a family of cave-people, called Tegumai Bopsulai, Teshumai Tewindrow, and Taffimai Metallumai. 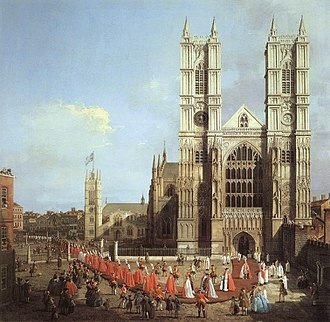 Poets Corner is the name traditionally given to a section of the South Transept of Westminster Abbey because of the high number of poets and writers buried and commemorated there. The first poet interred in Poets Corner was Geoffrey Chaucer, over the centuries, a tradition has grown up of interring or memorialising people there in recognition of their contribution to British culture. In the overwhelming majority of cases, the honour is awarded to writers, on 6 December 2011, former Poet Laureate Ted Hughes was commemorated with a floor stone. 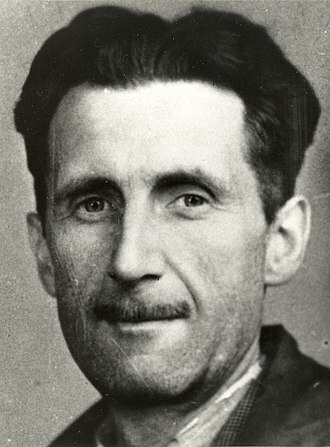 On 22 November 2013, the anniversary of his death. The poet Philip Larkin was commemorated with a stone dedicated on 2 December 2016. The first person interred, Geoffrey Chaucer, owed his burial there in 1400 more to his position as Clerk of Works of the Palace of Westminster than to his fame as a writer. The erection of his magnificent tomb, however, by Nicholas Brigham in 1556, burial or commemoration in the Abbey does not always occur at or soon after the time of death. Lord Byron, for example, whose poetry was admired but who maintained a scandalous lifestyle, the poets fate is here in emblem shown, He askd for bread, and he received a stone. Some of those buried in Poets Corner had memorials erected to them over or near their grave, in some cases, such as Joseph Addison, the burial took place elsewhere in Westminster Abbey, with a memorial erected in Poets Corner. 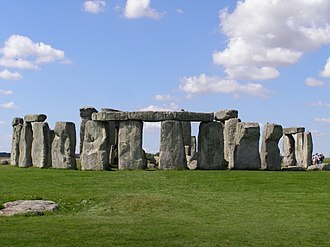 In some cases a burial of a body took place, in other cases the body was cremated. There are cases where there was support for an individual to be buried in Poets Corner. Other notable poets and writers, such as Aphra Behn, are buried elsewhere in the Abbey, at least two of the memorials were moved to a location elsewhere in the Abbey due to the discovery of old paintings on the wall behind them. The memorials can take several forms, some are stone slabs set in the floor with a name and inscription carved on them, while others are more elaborate and carved stone monuments, or hanging stone tablets, or memorial busts. Mandalay is a poem by Rudyard Kipling that was first published in the collection Barrack-Room Ballads, and Other Verses, the first series, published in 1892. The Mandalay referred to in this poem was the capital city of Burma, which was part of the British India from 1886 to 1937. It mentions the old Moulmein pagoda, Moulmein being the Anglicised version of present-day Mawlamyine, in South eastern Burma, the British troops stationed in Burma were taken up the Irrawaddy River by paddle steamers run by the Irrawaddy Flotilla Company. Rangoon to Mandalay was a 700 km trip each way, during the Third Anglo-Burmese War of 18859,000 British and Indian soldiers had been transported by a fleet of paddle steamers and other boats from Rangoon to Mandalay. Guerrilla warfare followed the occupation of Mandalay and British regiments remained in Burma for several years, Rudyard Kiplings poem Mandalay was written in March or April 1890, when the British poet was 24 years old. He had arrived in England in October the previous year, after seven years in India. He had taken a route home, traveling by steamship from Calcutta to Japan, to San Francisco, across the United States, in company with his friends Alex. Rangoon had been the first port of call after Calcutta, there was a stop at Moulmein. It is plain that Kipling was struck by the beauty of the Burmese girls and he wrote at the time, I love the Burman with the blind favouritism born of first impression. When I die I will be a Burman … and I will always walk about with a pretty almond-coloured girl who shall laugh and jest too, as a young maiden ought. She shall not pull a sari over her head when a man looks at her and glare suggestively from behind it, nor shall she tramp behind me when I walk, for these are the customs of India. 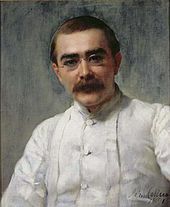 Kipling claimed that when in Moulmein, he had no attention to the pagoda his poem made famous. The poem is quoted in the 1992 movie The Last of His Tribe, during a campfire, Dr. Saxton Pope, played by David Ogden Stiers, gives expression to most of the poem in dramatic fashion. In The Wizard of Oz, the Cowardly Lion quotes Mandalay during his famous Courage speech, what makes the dawn come up like THUNDER. A sung rendition of the poem is performed in an episode of Rumpole of the Bailey, two parodic quotes appear in a nonsense poem, A Few Lines, written by Groucho Marx for Animal Crackers. Kiplings text was adapted for the song On the Road to Mandalay by Oley Speaks, when the album was initially released in the UK, the song French Foreign Legion replaced Mandalay, whilst apparently the song Chicago were used in other parts of the British Commonwealth. Sinatra sang the song in Australia, in 1959, and relayed the story of the Kipling family objection to the song, in 2008, in the Family Guy episode Tales of a Third Grade Nothing, Frank Sinatra Jr. and Seth MacFarlane spoofed the song. Peter Bellamy set the poem to the tune of Ten Thousand Miles Away for his album Barrack Room Ballads, there is a song of Russian singer Vera Matveeva On the road to Mandalay translated by E.
Sir Edward John Poynter, 1st Baronet, GCVO, PRA was an English painter and draughtsman who served as President of the Royal Academy. Edward Poynter was the son of the architect Ambrose Poynter and he was born in Paris, though his parents returned to Britain soon after. 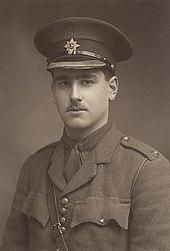 He was educated at Brighton College and Ipswich School, but left early for reasons of ill health, spending winters in Madeira. In 1853 he met Frederick Leighton in Rome, who made an impression on the 17-year-old Poynter. In 1866 Poynter married the famous beauty Agnes MacDonald, daughter of the Rev G B MacDonald of Wolverhampton, Visit of the Queen of Sheba and King Solomon. He was admitted as an associate of the Royal Academy in 1869 and he became a Royal Academician in 1876. In 1896, on the death of Sir John Millais, Poynter was elected President of the Royal Academy and he received a knighthood in the same year and an honorary degree from Cambridge University in 1898. It appears from the subjects of his paintings and his association with Kipling that he was a Freemason, prints of his painting The Visit of the Queen of Sheba to King Solomon are to be found in many Masonic Lodges around the world. The Bombay Presidency, known as Bombay and Sind from 1843 to 1936 and the Bombay Province, was an administrative subdivision of British India. 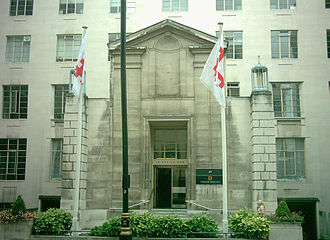 The English East India Company transferred its Western India headquarters from Surat, its first colony in that region, the Presidency was brought under British Parliament control along with other parts of British India through Pitts India Act. 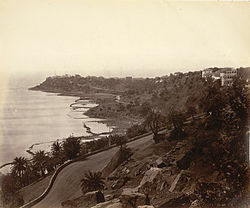 Aden was annexed in 1839, while Sind was annexed by the Company in 1843 after defeating the Talpur dynasty in the Battle of Hyderabad and it was made a part of the Bombay Presidency. The districts and provinces of the presidency were directly under British rule, while the administration of the native or princely states was in the hands of local rulers. The presidency, managed the defence of princely states, the Bombay Presidency along with the Bengal Presidency and Madras Presidency were the three major centres of British power. 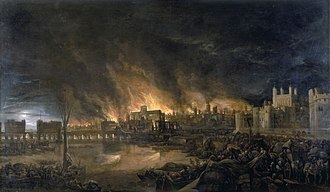 In 1661 Bombay was ceded to the Kingdom of England as part of the dowry of the infanta Catherine of Braganza on her marriage to King Charles II, as English trade in Bombay increased, Surat began its relative decline. 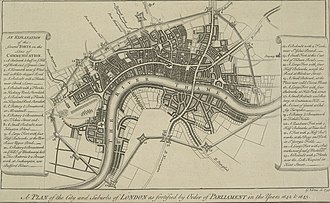 In 1687, Bombay was made the headquarters of all the East India Companys possessions in India, however, in 1753 the governor of Bombay became subordinate to that of Calcutta. During the 18th century, the Hindu Maratha Empire expanded rapidly, claiming Konkan, in western Gujarat, including Kathiawar and Kutch, the loosening of Mughal control allowed numerous local rulers to create virtually independent states. 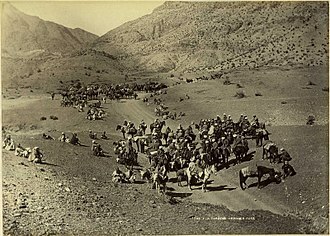 The British annexed Surat in 1800, British territory was enlarged in the Second Anglo-Maratha War which ended in 1803. The East India Company received the districts of Bharuch, etc. 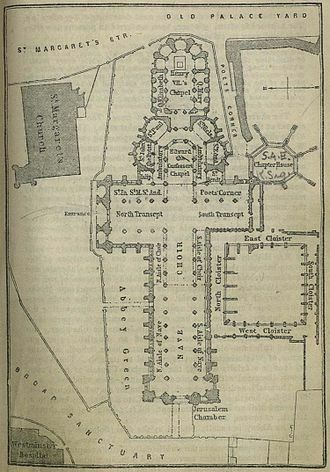 in 1803 the Bombay Presidency included only Salsette, the islands of the harbour and Bankot, but between this date and 1827 the framework of the presidency took shape. 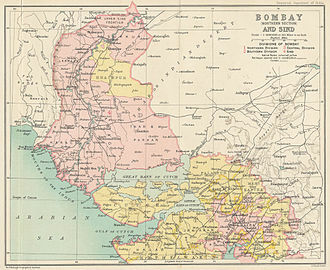 The Gujarat districts were taken over by the Bombay government in 1805, in 1858, under the terms of Queens Proclamation issued by Queen Victoria, the Bombay Presidency, along with the rest of British India, came under the direct rule of the British crown. Henry Bartle Frere was the first Governor appointed by the Crown, under Sir Bartle Frere agricultural prosperity reached its highest point, as a result of the American Civil War and the consequent enormous demand for Indian cotton in Europe. 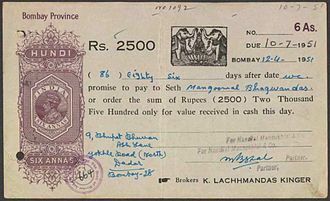 The money thus poured into the country produced an epidemic of speculation known as the Share Mania, which ended in a commercial crisis, but the peasantry gained on the whole more than they lost, and the trade of Bombay was not permanently injured. 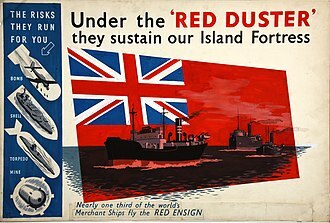 However, the important portfolios like finance and irrigation were reserved with members of the Governors Executive Council, in 1932, Aden was separated from Bombay and made a separate province, and Sindh became a separate province on 1 April 1936. The Government of India Act 1935 made the Bombay Presidency into a regular province and it enlarged the elected provincial legislature and expanded provincial autonomy vis a vis the central government. 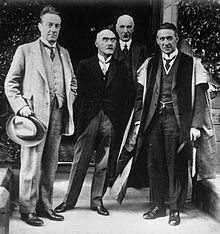 In the 1937 elections, the Indian National Congress won the elections in Bombay, the Cooper ministry did not last long and a Congress ministry under B. G.
John Lockwood Kipling, C. I. E. was an English art teacher and museum curator who spent most of his career in British India. 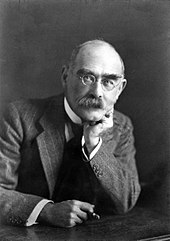 He was the father of the author Rudyard Kipling, Lockwood Kipling was born in Pickering, North Yorkshire, the son of Frances and Reverend Joseph Kipling, and was educated at Woodhouse Grove School, a Methodist boarding school. He met his wife Alice MacDonald while working in Burslem, Alice was the daughter of a Methodist minister, the Reverend George Browne Macdonald. 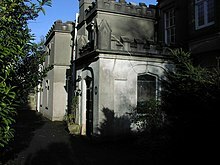 Their son was soon after, in December 1865, and was christened Rudyard after Rudyard, Staffordshire. Today several of these sketches are at the Victoria and Albert Museum whilst others were printed in a number of books and he retired back to England in 1893. 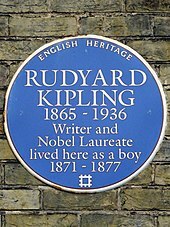 Kipling illustrated many of Rudyard Kiplings books, and other works and he worked on the decorations for the Victoria and Albert Museum in London and friezes on the Crawford Market in Bombay. The friezes of the Crawford Mark are done in a Romano-gothic style, the west entrance displays trader and sack-scales with porter and water carrier around a well-head, while the east features several bullock carts. During his tenure as the Principal of the Mayo School of Art, Lahore, he patronised indigenous artisans and through training and apprenticeship transformed them into craftsmen and designers. One of his protégés was Bhai Ram Singh, who assisted him in his commission for decorating the Durbar Room at Osborne House. 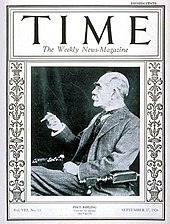 Kipling remained editor of the Journal of Indian Art and Industry and he died in 1911, and is buried in the parish of Tisbury, Wiltshire. Beast and Man in India, A Popular Sketch of Indian Animals in Their Relations with the People, Published by Macmillan and Co, inezilla, A Romance in Two Chapters, by J. L. K. Across the Border, Or, Pathân and Biloch, by Edward Emmerson Oliver, Published by Chapman and Hall,1890. Tales of the Punjab Told by the People, by Flora Annie Webster Steel, Richard Carnac Temple, Published by Macmillan and co.1894. 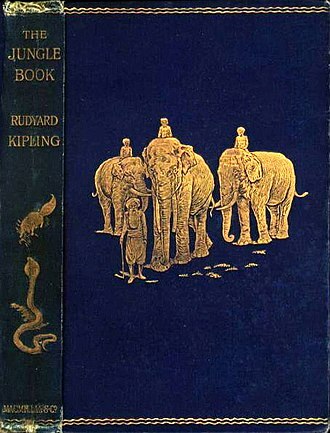 The Two Jungle Books, by Rudyard Kipling, Illustrations by J. Lockwood Kipling, C. I. E. and W. H. Drake. Published by Doubleday, Doran & Company, Published by University of Sussex Library,1980. 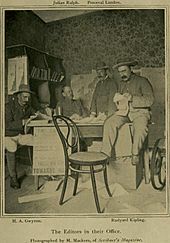 The American writer Mark Twain replied to the imperialism Kipling espoused in "The White man's Burden " with the satirical essay "To the Person Sitting in Darkness" (1901), about the anti-imperialist Boxer Rebellion (1899) in China. Portrait of J. Lockwood Kipling, by Hollinger. 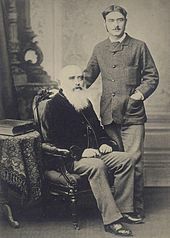 John Lockwood Kipling and Rudyard Kipling, c.1890. Green Summer, watercolour by Edward Burne-Jones, 1864. Louisa and Agnes Macdonald, Jane Morris, and others listening to Georgiana reading aloud in the garden at Red House. "Where the old flotilla lay". British soldiers disembarking from paddle steamers in Mandalay on 28 November 1885 during the Third Anglo-Burmese War. 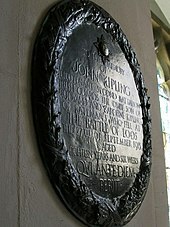 Alice Kipling is buried beside her husband in the churchyard of St John the Baptist church in Tisbury in Wiltshire. A male Anglo-Indian being washed, dressed and attended.